Welcome to Day #12 of Chocolate and Africa Theme Weeks. 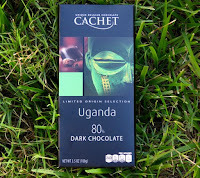 Today we make a virtual visit to Uganda, via chocolate. 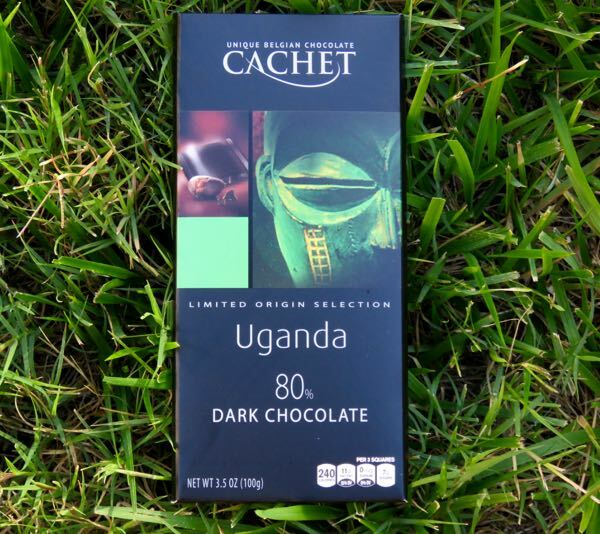 This Uganda 80% Dark Chocolate bar from Cachet (Tienen, Belgium) had a dark aroma with hints of roasted nuts, earth, deep dark chocolate, and flourless chocolate cake with no added sugar. The chocolate had a fairly even, creamy melt, and tasted much the same as it smelled. It had a deep dark even chocolate flavor with balanced earth notes. 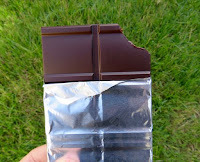 The texture was relatively creamy dark chocolate with a very slight, fleeting second of graininess. The chocolate had a slight bitter ale finish, and a slight astringency that showed up at the end but then tailed off rapidly. What was "missing" was red berry fruit and acidity—and the sugar. 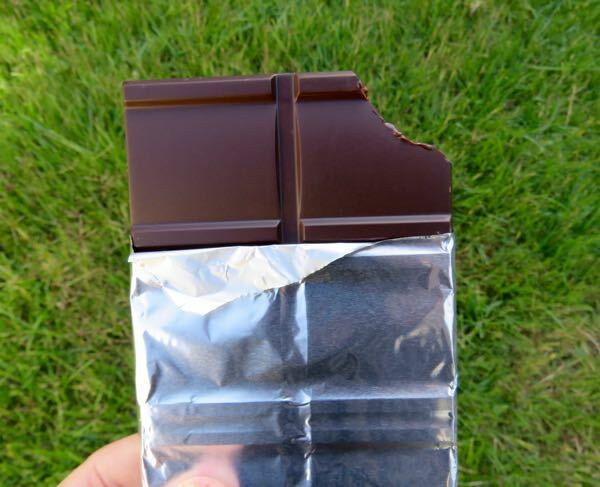 It was quite smooth and very satisfying, a bar you could eat and enjoy one small bite at a time, with very little sugar to egg you on. "Forestero beans from Uganda are known for their classic cocoa flavor and low acidity." Agreed. No wonder this bar was hard to find. It was a reasonably priced ultra-dark bar with good flavor.